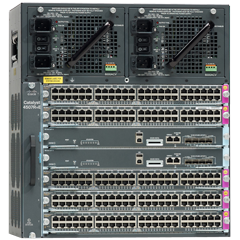 You are here: Home 2015 January Selecting Cisco Switches, For Campus or Branch? For a newbie who want to buy Cisco switch, or a Cisco switch buyer who want to make the very smart selection, in fact, it’s not easy to choose the best one for building a stable network. 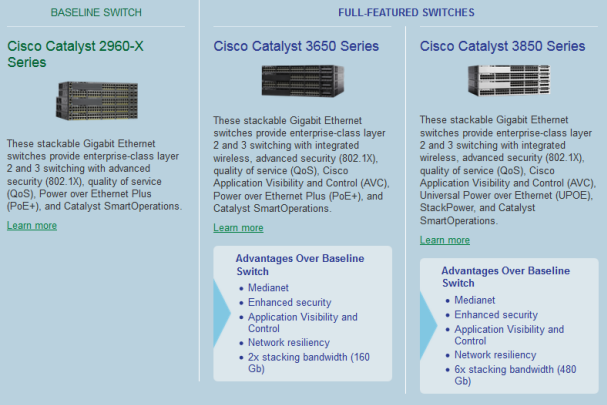 Recently, Cisco promotes a smart system that can help you choose a suitable Cisco switch. You need a Cisco switch that is access or backbone? For Campus, branch or carpeted area? Need Fast Ethernet or Gig capabilities? There are more tips and notes you should read while selecting Cisco switch. And we will list the detailed examples and steps here. In that way you can quickly identify the right Cisco campus and branch switch for your needs—whether you’re acquiring a new switch or upgrading an old one. 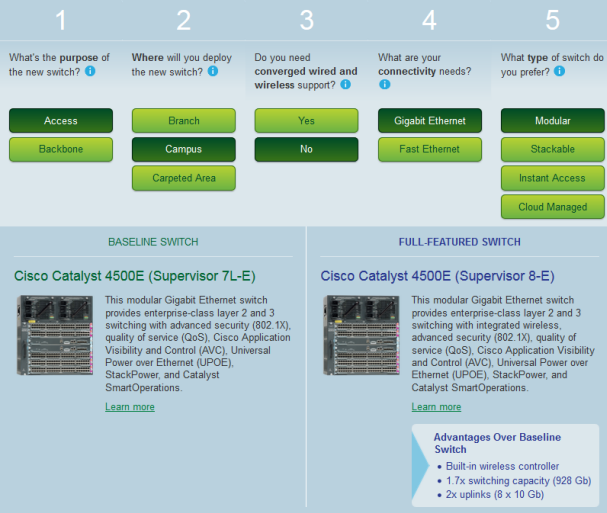 Let’s check…Which Cisco switch is right for you? Just answer a few simple questions and get your results. It’s that easy, so let’s get started. Q1: What’s the purpose of the new switch? Access or Backbone? …More notes: An access switch is where end points like PCs, access points, and IP phones connect. A backbone switch is the distribution and core network switch. If you need an access one, and next question is: “Where will you deploy the new switch? Branch? Campus? Or Carpeted Area? Notes: A branch consists of a single building or part of a building and is remote from the campus. A campus generally consists of multiple buildings close to each other. A carpeted area may be in an office (such as a conference room) or a point-of-sale (POS) terminal in a retail setting. 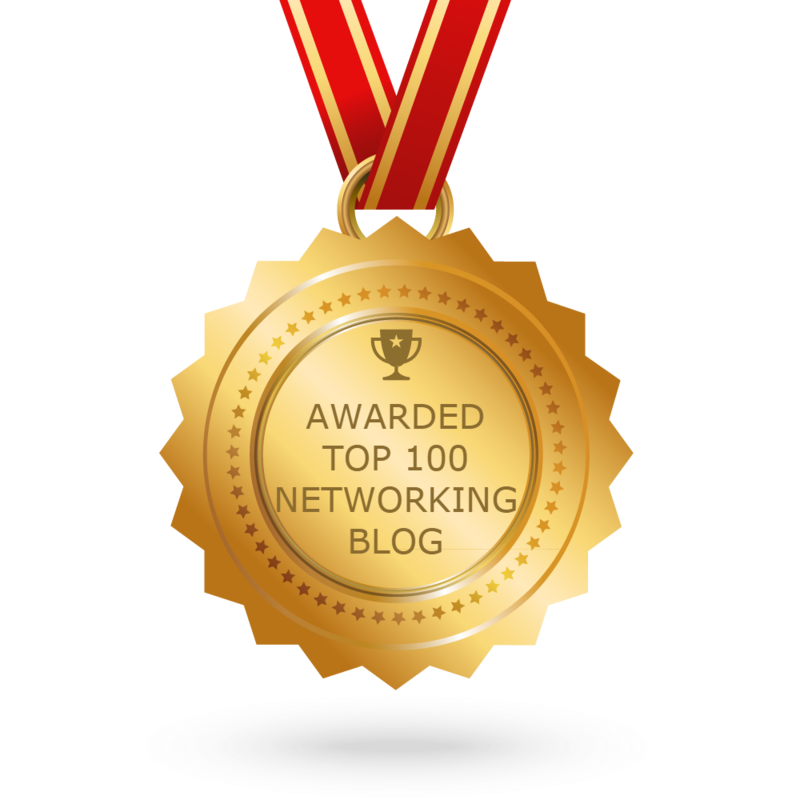 If you select the branch or campus, and then, the question is “Do you need converged wired and wireless support? Tips: In a converged wired and wireless switch, both types of traffic are terminated in a single switch for consistent functionality and common management. If your answer is YES, and you will go to have options of “modular” and “stackable”. The modular one is Cisco Catalyst 4500E (Supervisor 8-E). This modular Gigabit Ethernet switch provides enterprise-class layer 2 and 3 switching with integrated wireless, advanced security (802.1X), quality of service (QoS), Cisco Application Visibility and Control (AVC), Universal Power over Ethernet (UPOE), StackPower, and Catalyst SmartOperations. 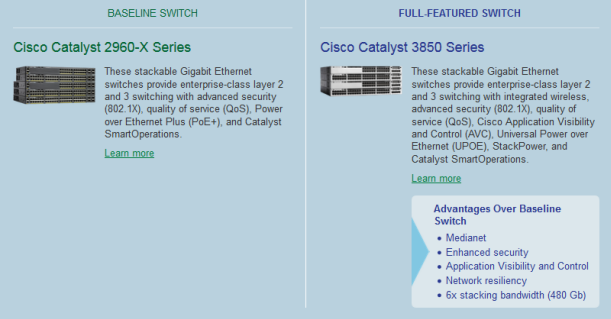 And the stackable members are Cisco 3650 baseline switch and Catalyst 3850 full-featured switch. They provide enterprise-class layer 2 and 3 switching with integrated wireless, advanced security (802.1X), quality of service (QoS), Cisco Application Visibility and Control (AVC), Universal Power over Ethernet (UPOE), StackPower, and Catalyst SmartOperations. More tips you should know if you don’t need converged wired and wireless support for Branch. If you don’t need converged wired and wireless support, what are your connectivity needs? (This represents the bandwidth requirement of the mew switch.) Gigabit Ethernet or Fast Ethernet? These cloud-managed Gigabit Ethernet switches combine the benefits of cloud-based centralized management with a powerful, reliable access platform. If you don’t need converged wired and wireless support and need the fast Ethernet, stackable one, the Cisco Catalyst 2960-SF Series suits you. These stackable Fast Ethernet switches provide enterprise-class layer 2 switching with advanced security (802.1X), quality of service (QoS), and Catalyst SmartOperations. If you want the fast Ethernet and standalone one, you can choose the Cisco catalyst 2960-Plus and 2960-SF series, just like the following figure. More Tips for you to select a Cisco SWITCH for Campus but you don’t need converged wired and wireless support. Access—Campus—No converged wired and wireless support—Gigabit Ethernet—Stackable, you will get these choices. …More Tips about selecting backbone switch you can refer to Cisco Switch Selector to find your right Cisco switch.